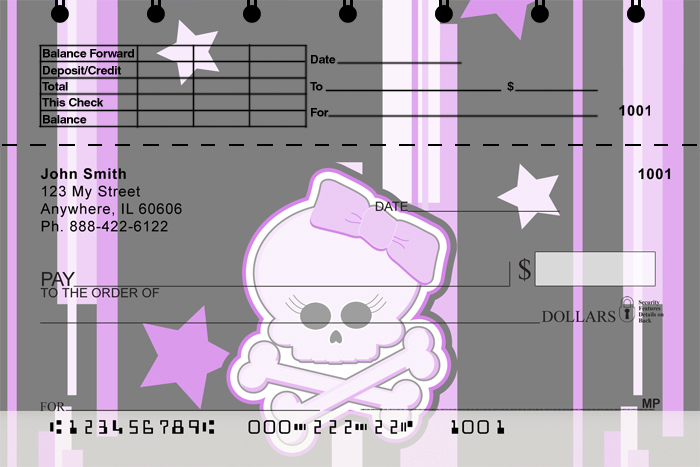 Girly Skulls Top Stub Personal Checks feature images of a bow and mascara wearing skull with crossbones behind and underneath it. The checks have colors such as black, purple, pink, blue, and orange. Stylish Skulls Top Tear Address Labels feature a cluster of skulls with wings attached on a gray background. Each image of the stylish skulls is from a different angle. 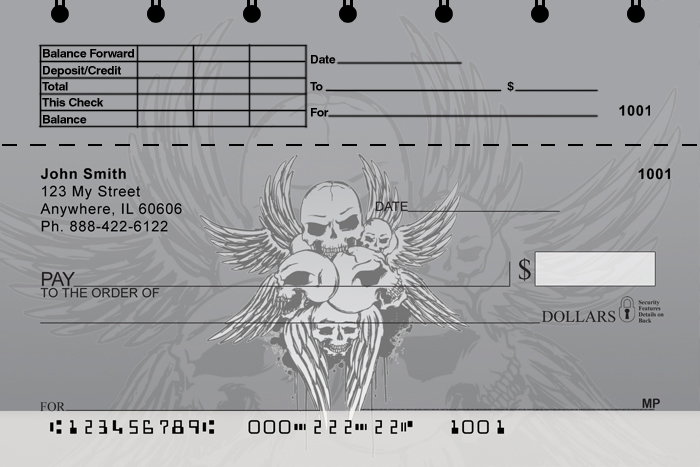 Skulls Personal Checks - These spooktacular designs feature human skulls. Whether you are a modern day pirate or just like to see heads turn, these are the ones for you! BOO! 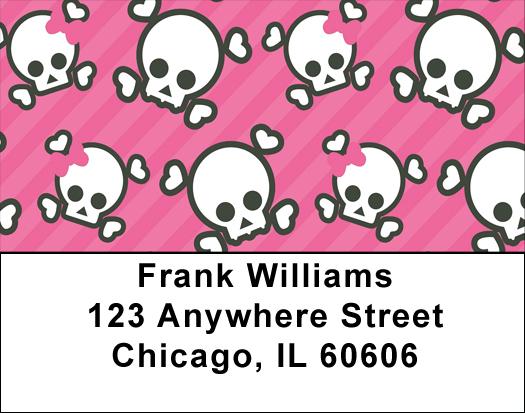 Skulls Address Labels - These spooktacular designs feature human skulls. Whether you are a modern day pirate or just like to see heads turn, these are the ones for you! BOO! Skulls Personal Checks - These spooky shining skulls are for more than the modern day pirate. These fun designs are great for the Halloween season or anyone looking for a design that is head turning! Skulls Address Labels - These spooky shining skulls are for more than the modern day pirate. These fun designs are great for the Halloween season or anyone looking for a design that is head turning! Skulls And Personal Checks - These spooktacular images feature skulls, crossbones, hidden treasure and even more. Perhaps you are on your own treasure hunt or are just a modern day pirate, share the wealth with these spooky designs! 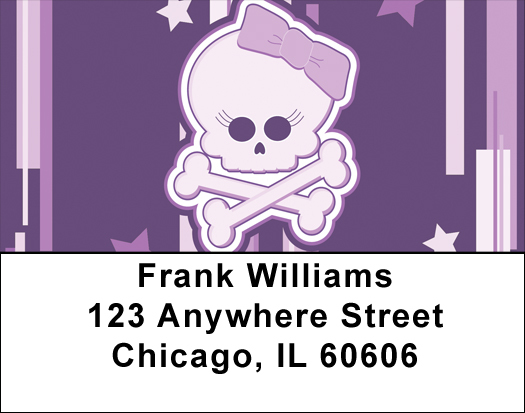 Skulls And Bones Address Labels - These spooktacular images feature skulls, crossbones, hidden treasure and even more. Perhaps you are on your own treasure hunt or are just a modern day pirate, share the wealth with these spooky designs!